Come and celebrate Earth Day and Fashion Revolution Week with Wool and the Gang. Wool and the Gang are hosting a series of workshops at Eccleston Yards, London, celebrating all things crafty. On Thursday 25th April, maker Queen Katie Jones will be hosting a colourful crochet workshop of dreams. Katie Jones is a London-based designer who teams playful aesthetics with serious ethics. The brand has always focused on sustainable practice embracing Katie’s Granny's vision of making something beautiful from nothing and consciously addressing issues of over-consumerism. For this one-off event, Katie will be showing you how to create an iconic granny square blanket. Materials will be provided, but you'll also learn how to use leftover yarns to complete your blankets at home. All of the tools you'll need are covered by the ticket price, so just bring yourself and a crafty apetite! Let's use our crafting skills to do a little good for the planet, one stitch at a time. This course is a hands on practical workshop exploring a wide array of crochet and knit stitches, exploring a variety of basic and more advanced techniques. Covering a range of techniques the 9 week course will alternate focus between Knitting and Crochet each week, with each session covering a new set of stitches or construction methods. You will be able to make your swatches into a sampler scarf, cushion or knitting bag by the end of the term or carry on through to the next term to produce a larger piece. A wide array of inspirational Imagery, examples and handouts will be available to students. The class will offer group demonstration master classes, group discussion and lots of one to one support, enabling students to grow ideas, learn from peers, energise and extend personal practice. Tutor Katie Jones will bring in examples of her personal work to inspire with use of colour and pattern and to show how with the basic skills, your crochet and knitting work can progress. Entry requirements: The course is suitable for complete beginners through to more experienced knitters and crocheters who want to try out new ideas and build on existing skills. Come join Katie at Drink Shop Do in Kings Cross on Sunday April 14th from 2pm-5pm for a fun filled Pompom party and get your Easter craft on! Materials, cake and unlimited tea/coffee will be provided! 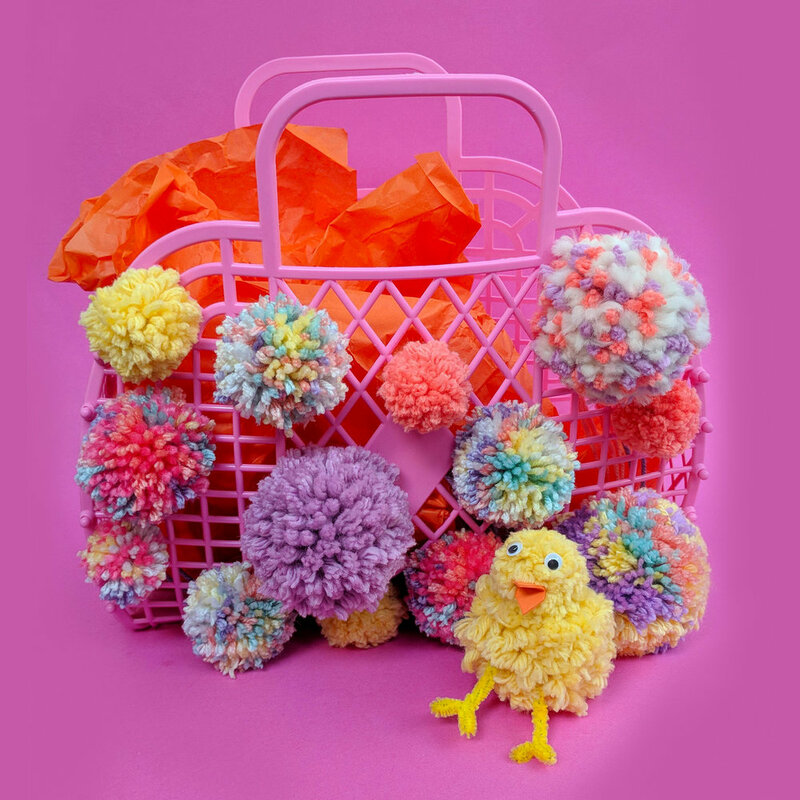 Make yourself your own Pompom crown and decorate a Sunjellies retro basket into an Easter basket or your own , which makes the perfect gift basket or yarn basket for your home! 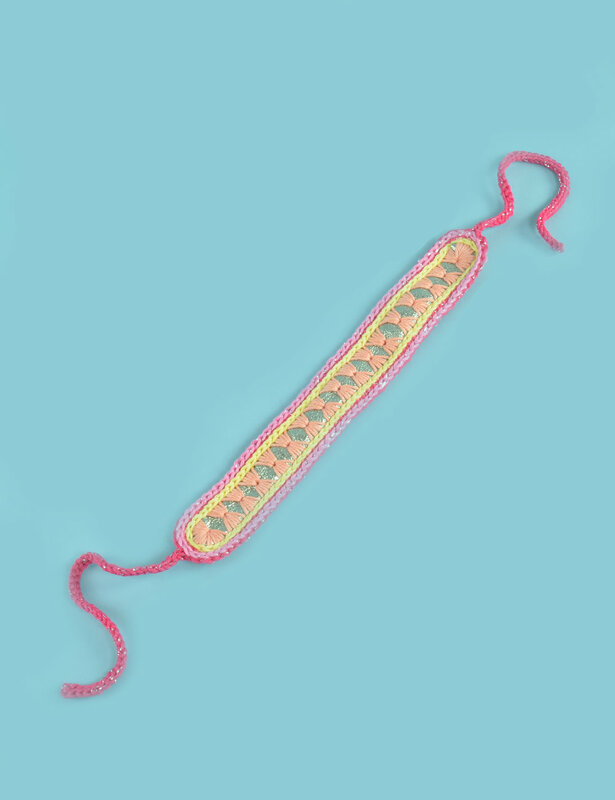 And if you get time then also craft yourself a Spring pompom Garland! Level: For beginners up and all ages! Kids under 12 must be accompanied by an adult. BOOK A DOUBLE PASS AND BRING A FRIEND AND SAVE £10! Join sustainable knitwear designer Katie Jones and learn how to produce your very own stylish hand crafted cushion. 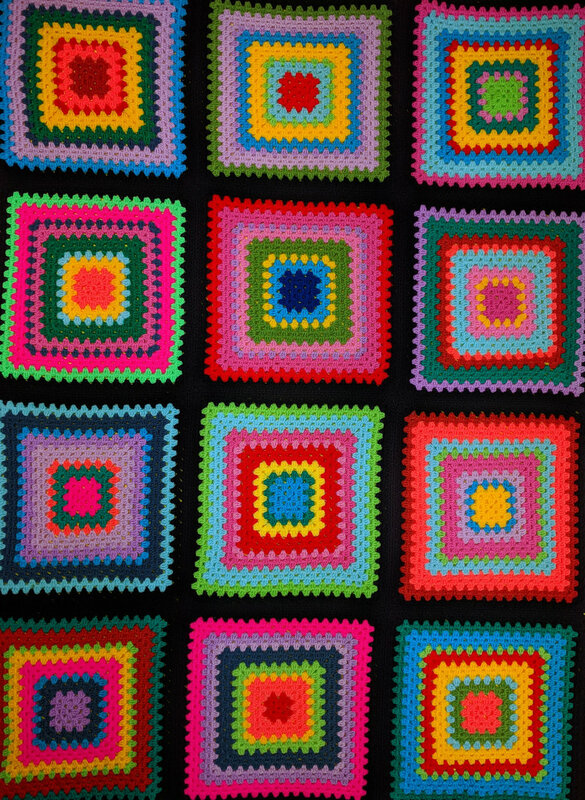 Working in a small group (maximum 10 participants) the first session will be spent learning the basic stitches, how to change colours and how to create a granny square equipping participants with the necessary skills they will need to create their final design. Each participant will receive a 4mm crochet hook and ball of yarn to practice their new found skills between sessions. In the second session students will begin work on their own project under the expert guidance of Katie combining the skills and knowledge acquired into their own cushion cover design. Katie will work with students to create striking colour combinations and compositions perfect for any stylish interior. Suitable for people with no experience or those who would like to work under the tutelage of Katie Jones. Price: £180 includes equipment* and exhibition entry. 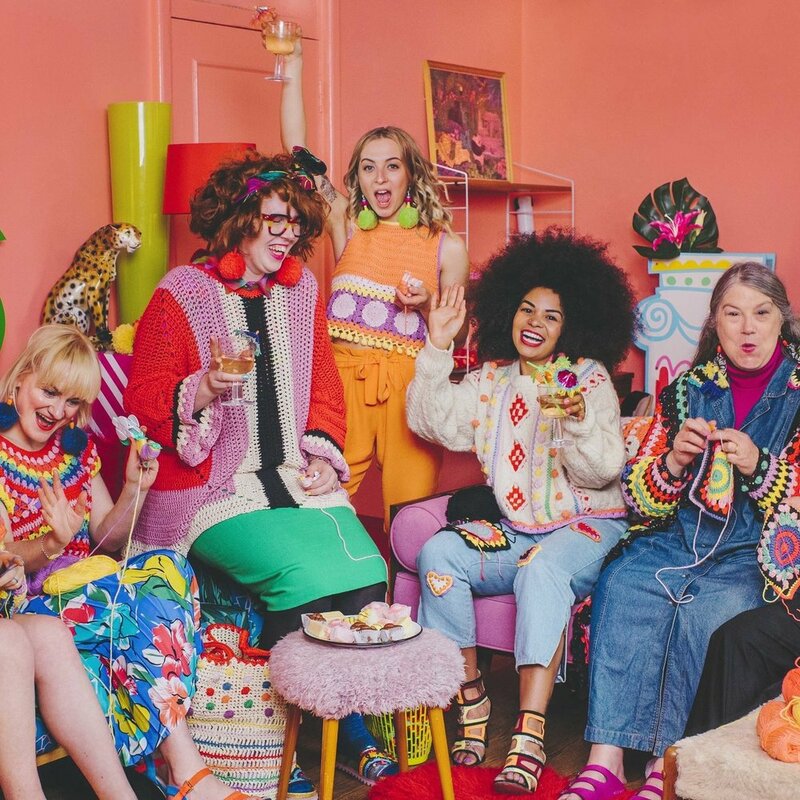 *The fee includes entry to the current exhibition Swinging London: A Lifestyle Revolution plus all materials: a selection of yarns, cushion pad, 4mm crochet hook and ball of yarn to take home and practice between sessions. Please bring a bag to take your work home with you. Designer Katie Jones will talk you through her creative journey working in the Knit industry for 10 years. From launching her own sustainable fashion brand to working with Selfridges, the dynamic of working with her mum, and how she took her work out of the studio environment and Luxury stores and moved it back to the sofa! Katie will then open the talk up to the floor for a Ask-me-Anything session, so have your questions ready! Display of 10 individual Aran Jumpers selected from Jones archive. Produced over 6 years this display celebrates the Brands signature style and how you can use craft skills to breath new life into less loved pieces to make them truly remarkable! Colourful 1.5-hour workshop which will teach you the basics of crochet. 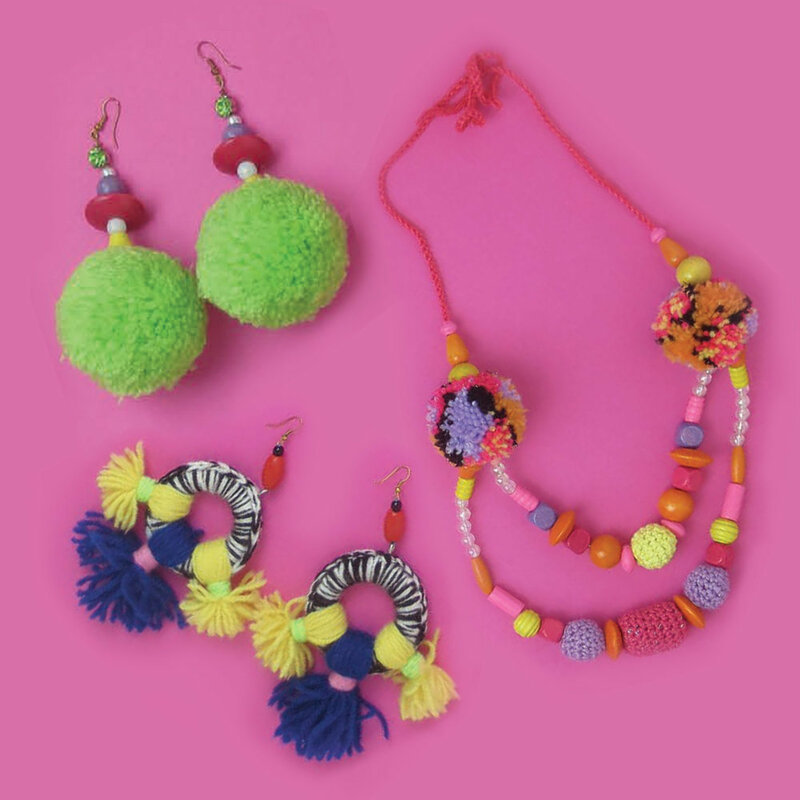 Experiment with stitches whilst making your own chunky statement necklace or head piece. Aimed at beginners, the class is intended to be a fun and friendly introduction that will give you a basic understanding of the most commonly used stitches and how to change colours. Full instructions and all materials will be provided. Why not take the opportunity to come with family or friends, learn together and receive 25% discount on a pair of tickets. More Workshops at the FTM to be announced very soon! 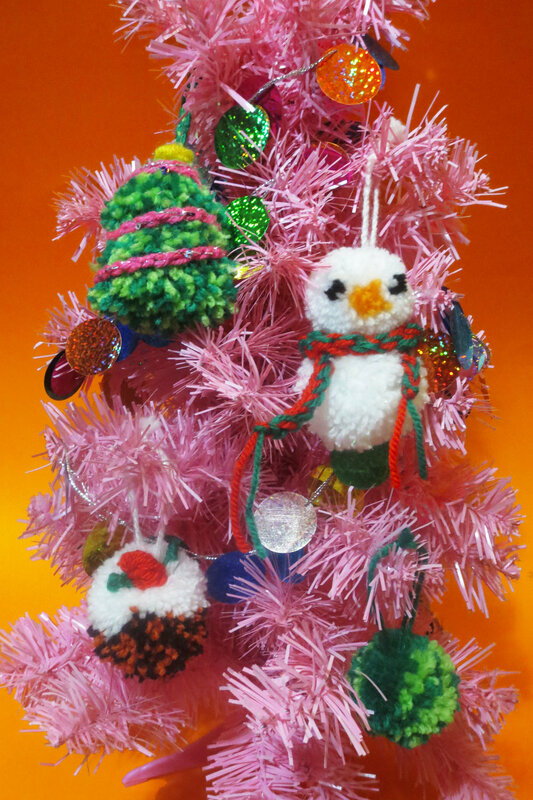 We're welcoming back crochet extraordinaire Katie Jones for a Christmas crafting workshop in our Dalston store! 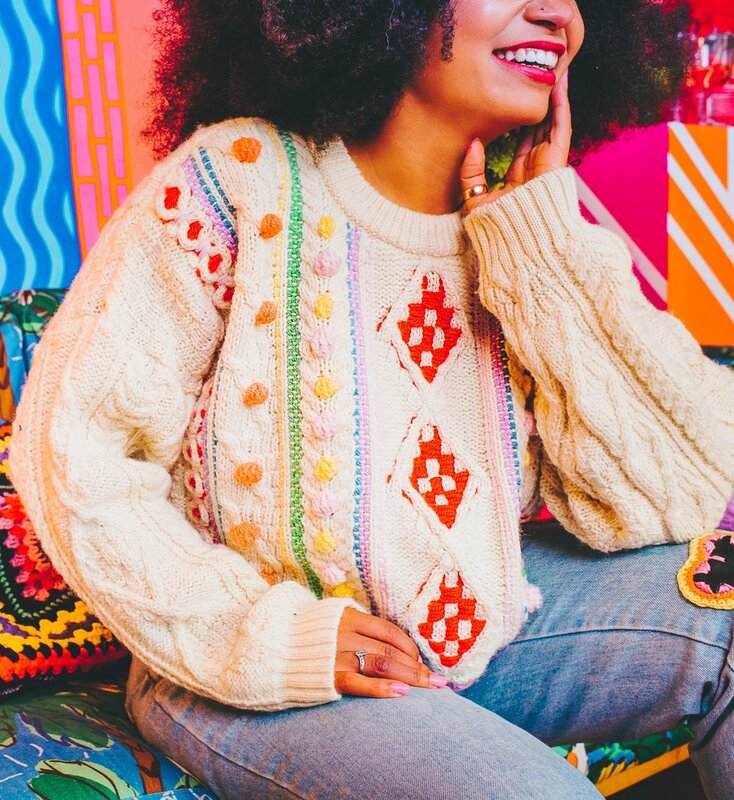 The award-winning knitwear designer will be teaching you how to create pom-pom accessories and one-of-a-kind Christmas tree decorations with all the materials and kit included, as well as drinks & festive nibbles! Spaces are limited, so grab your tickets now! Come join Katie in our Summer POPUP in Kings Cross on Sunday June 10th for a fun filled MIY Workshop and get your craft on, materials, cake and tea/coffee will be provided! For beginners up- come create your very own patch set! The 5 hour workshop will show you how to create your very own signature patches to pimp up your denim! You will receive all the bits to create one large statement patch and 6 smaller accompanying patches perfect for making that custom jacket! Bring your own jacket or have the option to top up your ticket and have a Grade A Vintage piece to work on during the session! Our Friends Molly Fox Vintage will also have a rail of Denim, Corduroy and Leather goodies on sale at the pop up that you can browse through on arrival! Our patches also work great on jeans, bags and the Pleather patchers are perfect for sweatshirts! A mix of Hearts, Stars, Numbers, Letters and shapes will be available on the day, with options to pre book any specific Letters for names once you have booked your slot! All our leather is sourced from surplus waste material offcuts. Level: For beginners up but recommended for those with basic crochet knowledge. I would love to invite you to come and celebrate the launch of the new Make It Yourself Collection! Come join me for an evening of pompoming fun, get to try on and dress up in the new collection, preview the new MIY patterns and get your free glass or 2 of bubbly plus natter with like minded crochet lovers in our Summer Pop-Up store 5 minuets walk from Kings Cross! 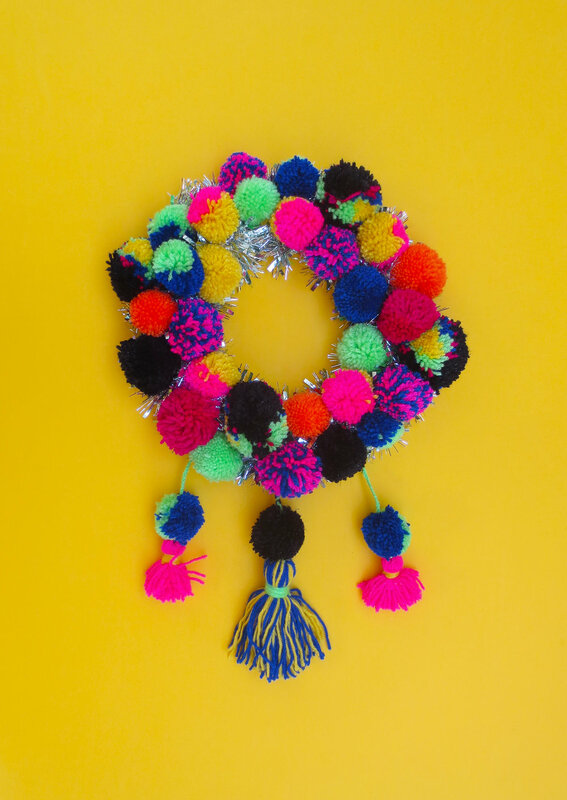 An abundance of of rainbow yarns to create your own pompom crowns, sweets and snacks will be laid out for your arival! There will also be exclusive Patch kits on sale and Pattern discount codes to be won on the night! Come join Katie in our Summer POPUP in Kings Cross on Saturday June 9th for a fun filled MIY Workshop and get your craft on, materials, cake and tea/coffee will be provided! Make yourself your own bespoke Aran Clutch bag, Cushion or Jumper! During the session learn how to produce your own signature style Aran piece, pick you own colourways and create a unique take on this classic KJ style! During the 5 hour session you will learn embroidery techniques, crochet stitches, how to make pompoms and go away will a fully finished bag or Cushion! Bag bases will be prepped on arrival with Pleather Linning and metal snap fastening, so your able to complete the whole bag within the session and cushions inners will be at the ready to fill your finished piece! Jumper options will take longer than the session to complete but you will receive all the goodies to finish your piece at home! Our Aran clutch bag would usually retail for £410 and Jumpers sold in Selfridges for £650 but you can join in this session and make your own stating at for £70!! We would love to invite you to come and visit our Summer POPUP shop which celebrates the launch of the new Make It Yourself Collection! Come try on the new collection and have a browse at the new patterns, purchase limited run exclusive patches from our Patch N Mix stand and book yourself into a number of workshops over the weekend! All workshops now up on our workshop calendar and can be pre booked through the website as number are limited! Full Great Make Escape March Weekend or Saturday Day Pass available! In collaboration with Somerset House resident Hubbub, Give A Knit! 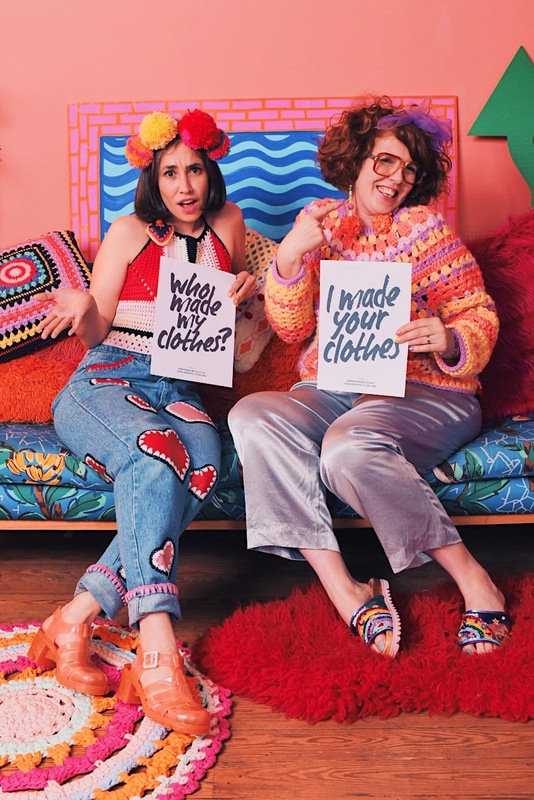 offers you the opportunity to work with two eco-designers to upcycle clothing by hacking, embellishing and reimagining; creating unique pieces for your winter wardrobe to take home with you. Using a mix of traditional textile techniques, contemporary design and digital application, Give a Knit! is a space to unpick and refashion your sustainable identity under the direction of our eco-fashion designers in residence. 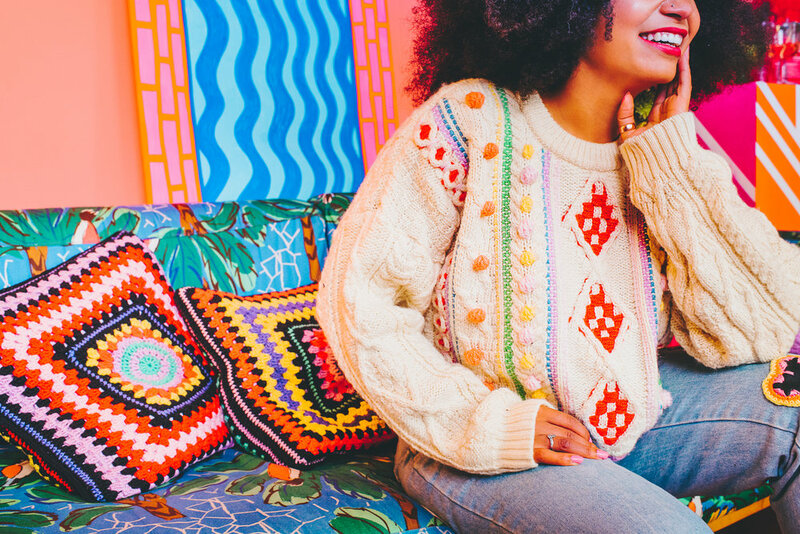 This afternoon of activity offers an antidote to throwaway Christmas culture and provides all the tools necessary to turn an uninspiring sweater or moth bitten jumper into a Winter season statement piece. 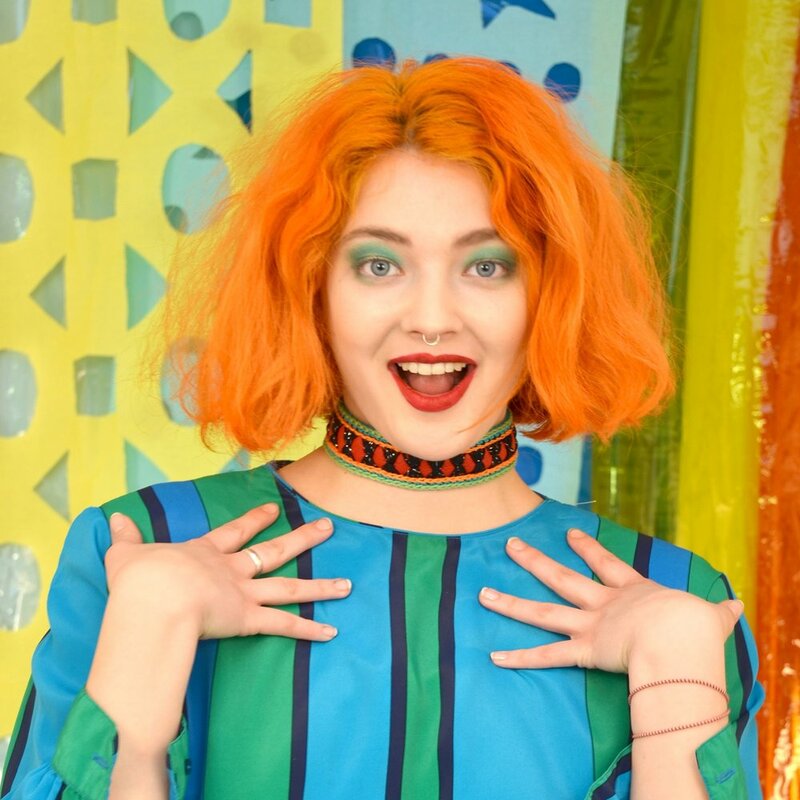 Join designers Gillian June and Katie Jones for hands on workshops and book in for a spotlight session highlighting the tricks and trade of repurposing and reparation for the fashionably minded. Across Somerset House, from 1st – 8th December, there will be the chance to feed unwanted clothing to our hungry collection points, created by knitwear designer Katie Jones and inspired by our winter programme. In celebration of our partnership with Christmas TABLE by Skye Gyngell and StreetSmart, happening later in the month, there will be an option to create a unique item which will be gifted to all homeless and vulnerably housed Londoners attending the dinner. A short course in Christmas crochet making an array of colourful decorations including a pompom wreath, granny square bauble and gingerbread man applique. 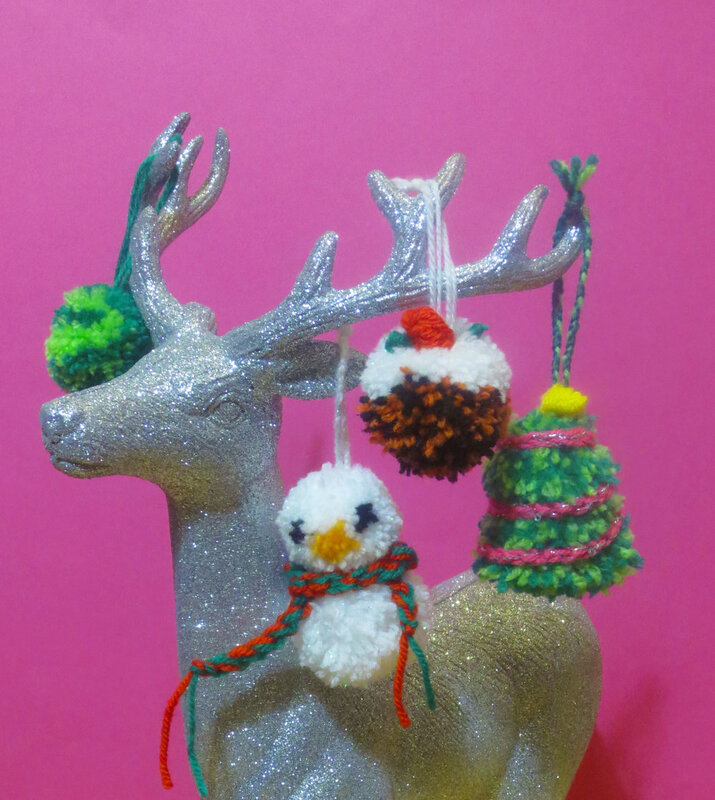 Come get in the Xmas spirit early and be inspired by class tutor Katie Jones, and learn how to make your own fun decorations in time to spruce up your home ore give as gifts. The 2 sessions will cover basic crochet stitches, joining techniques, shaping and colour work. Suitable for complete beginners and those with experience. Some materials provided and crochet hooks 3.5/4mm size but bring your own double knit yarns in your favourite colours. Learn the basics of how to crochet a granny square in this hour and a half session and get access to see the Museums current collection. The Campaign for Wool are excited to be collaberating with Katie Jones for Wool Week 2017. Katie will be hosting one of her fantastic crochet patch workshops were you can create patches and trims to personalise an item of clothing. This workshop only has 12 places available so you will get plenty of one-to-one teaching with Katie as well as taking home your new creations. Come learn to crochet and make yourself a bracelet or patch from our Colab at this drop in FREE workshop in store!